Rachel Carns is a musician, poet, composer, artist and performer, known for her operatic punk vocals, baroque art-circus organ chops, and distinctive stand-up drumming style. She is a founding member of artpunk metal outfit The Need, sugar pop darlings, Kicking Giant, and stoner sludge duo TWIN (nee The King Cobra). She has collaborated with a grand list of luminaries including Mocket, Two Ton Boa, Miranda July, Wynne Greenwood, Carrie Brownstein, Kathleen Hanna, and the experimental performance art group Cloud Eye Control, and has composed and performed a wide range of original works, including The Transfused, a full-length rock opera. 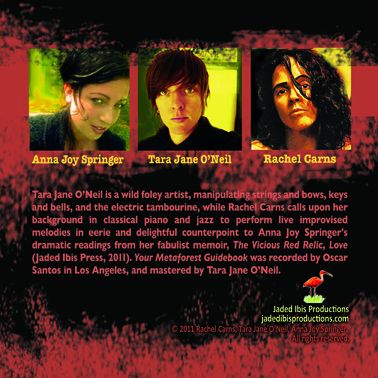 Tara Jane O’Neil is a multi-instrumentalist, poet, composer, producer and visual artist. She creates melodic and experimental music under her own name and in collaboration. Her recordings and live performances range from solo songing to noise improvisations. TJO has composed and performed music and sound for films, theater and dance performances, and written large and small ensemble experimental architectures. She founded the Ecstatic Tambourine Orchestra and has played with the likes of Papa M, Mount Eerie, Ida, Mirah, Michael Hurley, Lori Goldston, and the King Cobra. Bringing together three different authors who are based in a different style of writing and making them bring out one work makes a lot of new inventions to writing scenario. There would be a whole lot of ideas from each of them focusing a different perspective. It will show the caliber they possess and the work they like to do. Writing is an art and it doesn’t dawn on anyone so easily. You need a real mental strength to make it a practice and out it out to the world is even more challenging. 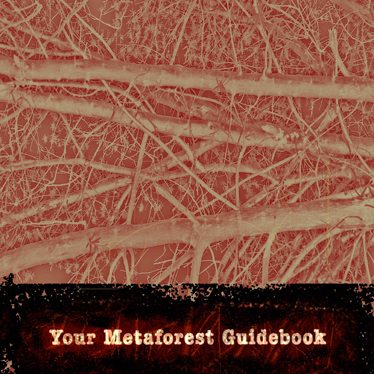 Click to find out more about the different areas you could try to explore through writing skills. Writing is not just a skill it is a language of the heart mind and soul. When all gets focussed together we get to enjoy the pearls of wisdom from such people. 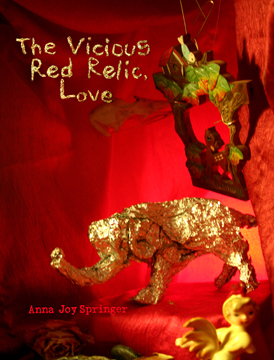 Anna Joy Springer is the author and illustrator of The Vicious Red Relic, Love (Jaded Ibis Press, 2011). She was a singer and songwriter for Blatz, The Gr’ups, and Cypher in the Snow. She is now at work on a book-length rebus bestiary about punk girls, birds, and the turn of the century. Springer teaches fiction, graphic texts, and experimental writing as an Assistant Professor of Literature at UC San Diego.